Interesting choice to devote some time swimming in Weil der Stadt. Is it not your initial time here? Tell us how it went making use of the Facebook comments below or contacting us directly! 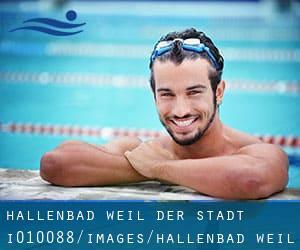 Hallenbad Weil der Stadt is only one of all of the swimming pools Swimia is offering you, and its information and facts has been shared with us by a swimmer like you.Remember you could now promote Hallenbad Weil der Stadt by sharing this page together with your friends, adding comments and linking to us. This sports center provides 25 meters, 3 lanes, Indoors. For this Pool, only phone number is number here. New in Weil der Stadt? Write down the GPS coordinates we've on our file for this Pool, so you can enter them into your GPS to enable you locate the Aquatic Center easily. If you believe that any with the data is incorrect, please get in touch with us. Help us be better day-by-day. Updated on 2019 Hohenzollernstraße 23 , Sindelfingen , GERMANY (Postal Code: 71067). Swimmers like you reported Olympic size x 21 meters, 8 lanes, 1.8 meters maximum depth, 1.8 meters maximum depth, Indoors. Phone number and e-mail address are number for this Pool. Updated on 2019 Berliner Straße 32 , Maichingen , Sindelfingen , GERMANY (Postal Code: 71069). Among all the activities provided by the center, for anyone who is enthusiastic about swimming you can enjoy 25 meters, 5 lanes, 3.4 meters maximum depth, 3.4 meters maximum depth, Indoors. If you have to get in touch with this Swimming Pool, email address and phone number are both number. Updated on 2019 Hauptstraße 50 , Gerlingen , GERMANY (Postal Code: 70839). Among all the activities provided by the center, if you're interested in swimming you'll appreciate 25 meters, 4 lanes, Indoors. Just in case you wish to contact this Swimming Pool just before dropping by, we only know the phone number. Updated on 2019 An der Talaue , Waiblingen , GERMANY (Postal Code: 71334). Among all of the activities provided by the center, in case you are thinking about swimming you'll enjoy 25 meters, Indoors. Just in case you would like to contact this Pool prior to dropping by, we only know the phone number. Updated on 2019 Panoramastraße 10 , Uhingen , GERMANY (Postal Code: 73066). Swimmers like you reported 25 meters, 6 lanes, Indoors. Unfortunately we do not have the email address of this Pool, but we can provide you with the phone number. Updated on 2019 In the SI-Centre , Plieninger Strasse 100/1 , Stuttgart , GERMANY (Postal Code: 70567). This sports center offers 20 meters, Indoor/Outdoor. Contact info for this Pool like phone number and e-mail address are number. Updated on 2019 Klosterstrasse 12 , Sindelfingen , GERMANY (Postal Code: 71063). Swimmers like you reported 25 meters, 4 lanes, 3.15 meters maximum depth, 3.15 meters maximum depth, Indoors. Unfortunately we do not have the e-mail address of this Swimming Pool, but we can provide you with the phone number. Updated on 2019 Badstrasse 8 , Muenster , GERMANY (Postal Code: 48149). Among all the activities supplied by the center, when you are thinking about swimming you'll enjoy 25 meters x 12.5 meters, Indoors. Just in case you desire to get in touch with this Pool before dropping by, we only know the phone number. Updated on 2019 Friedrich-Pfennig-Straße 24 , Heidenheim , GERMANY (Postal Code: 89518). This sports center offers Olympic size x 21 meters, 10 lanes, Indoors. Contact info for this Swimming Pool such as phone number and e-mail address are number. Updated on 2019 Am Hexenbuckel 1 , Boeblingen , GERMANY (Postal Code: 71032). This sports center provides 20 meters, Outdoors. Contact data for this Swimming Pool just like phone number and e-mail address are number. Updated on 2019 This sports center offers 25 meters x 12.5 meters, 0.9 meters - 2 meters depth, 0.9 meters - 2 meters depth, Indoors. For this Swimming Pool, only phone number is number here. Updated on 2019 Auf der Insel , Zizishausen , Nuertingen , GERMANY (Postal Code: 72622). This sports center provides 25 meters, 5 lanes, Indoors. For this Pool, only phone number is number here.